Welsh heavy power-rock trio HARK (Jimbob Isaac (ex TAINT) – Guitar, Vocals Nikolai Ribnikov (ex-WHYTELEAF) – Bass, Simon Bonwick (ex- WHYTELEAF) – Drums) have finished recording their forthcoming Season of Mist debut album. The as-yet-untitled album was recorded at Monnow Valley Studios in Wales (BLACK SABBATH, RUSH, JUDAS PRIEST, PORTISHEAD), and mixed by CONVERGE guitarist Kurt Ballou (CONVERGE, HIGH ON FIRE, KVELERTAK, YOUNG WIDOWS). HARK have also announced a string of European tour dates. The trek, which starts on November 27 in France, will travel through Switzerland, Germany, and the UK. The band is also slated to make an appearance at next year’s Wild Custom Guitars Festival in Clermont-Ferrand, France. A full list of confirmed tour dates can be found below. Led by former TAINT frontman and acclaimed graphic artist Isaac, HARK has already released one sold-out seven-inch single and has toured extensively with RED FANG and CLUTCH throughout Europe. With fresh chops and almighty riff power, HARK continue to fuse punk attack with Sabbathian dirge, and decorate post-whatever angularities with classic rock flourish. While Isaac’s vocals expand on his tried and tested palette, his lyrics continue to shatter prose with bleak metaphor and acerbic spittle. Former WHYTELEAF rhythm section Ribnikov and Bonwick, the HARK engine, bring an endlessly creative pummel. Their dynamic chops, and blood lust for riffs meld with Isaac’s honed and equally determined musical vision. News and tour information available through the Season of Mist website, the HARK website, Twitter and Facebook page. For information on Jimbob Isaac’s artwork visit his website here. 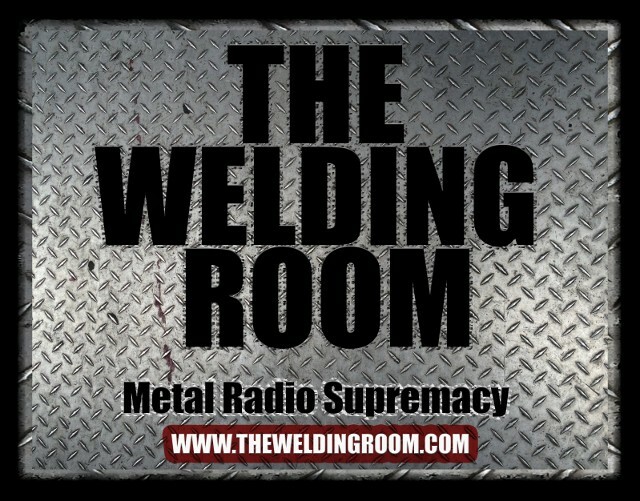 This entry was posted in METAL and tagged #DeathThreatsComplaints, #TheWeldingRoom, #TWRradio, Clermont Ferrand, France, Germany, HARK, Jimbob Isaac, Judas Priest, Kurt Ballou, Monnow Valley Studio, Monnow Valley Studios, Season Of Mist, Simon Bonwick, TAINT, Vocals Nikolai Ribnikov. Bookmark the permalink.